I made this card for the Play Date Cafe Challenge. 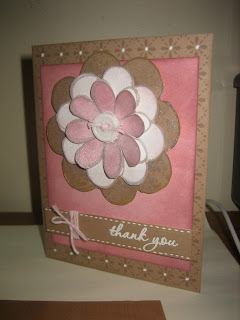 I received an order from Simon Says Stamp today which included some distress inks. It was my first try with them and I really like them. I can't wait to experiment some more. I love the huge flower in the center! great job! Absolutely beautiful! 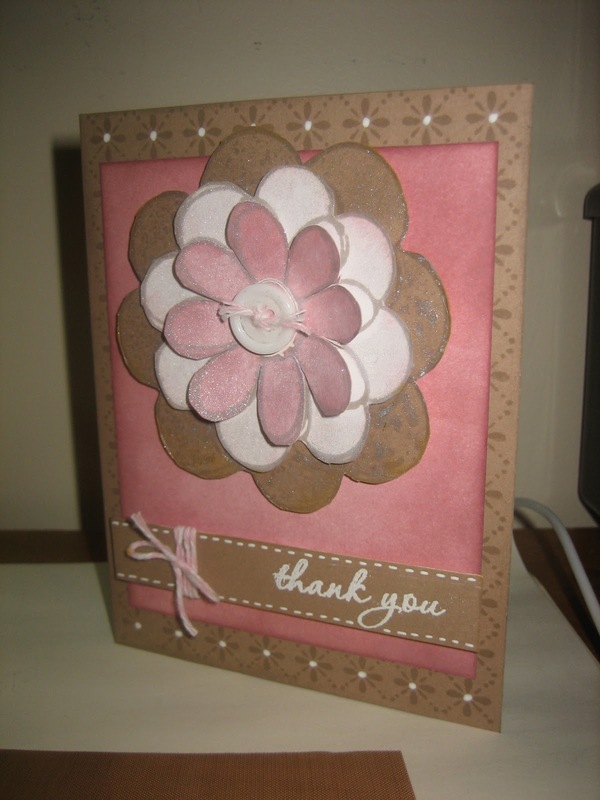 LOVE your white gel pen detail and that fabulous, dimensional flower! 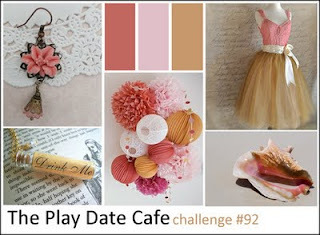 Thank you so much for playing along with us this week at The Play Date Cafe! Distress inks are so much fun to play with. Keep exploring, you will learn dozens of things you can use them for, a whole world awaits you! Love your flower, it looks lovely and that sentiment looks perfect in white! Thanks for joining in the fun with us at the Play Date Cafe this week!